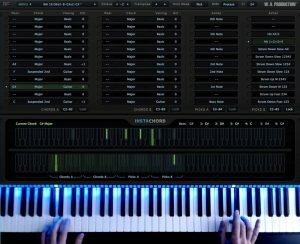 “Instachord” is a MIDI Processing Plugin that helps you play chords and chord progressions faster and easier. Using richer chords and new chord progressions can take your song to a new level and make it sound unique and professional. Play Chords & Chord Progressions Faster & Easier! The foundation of a great song is based on its harmonic movements and chord changes which is often called chord progression. A change in chord progression can have a drastic effect on the mood or direction of a song. Even those with a background in music theory can experience repetition and stagnation. If you’re a songwriter or a producer it will help you speed up the workflow and song creation process. 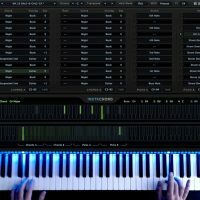 Find the best progression and use a single midi pattern to play all of them. If you’re a player it allows you to play some of the hardest chords, in any musical key and combination of notes and different voicings, using just a few keys on your controller. Or jam and practice over them without spending much time creating a jam track. If you’re a student or a teacher you can use the plugin to learn and study the chords and use it as a reference and hear them in action. Find the chords that work well together and build a perfect chord progression for your next song with just a few clicks. You can transpose all the chords to any other key you want using the ‘transpose’ button. 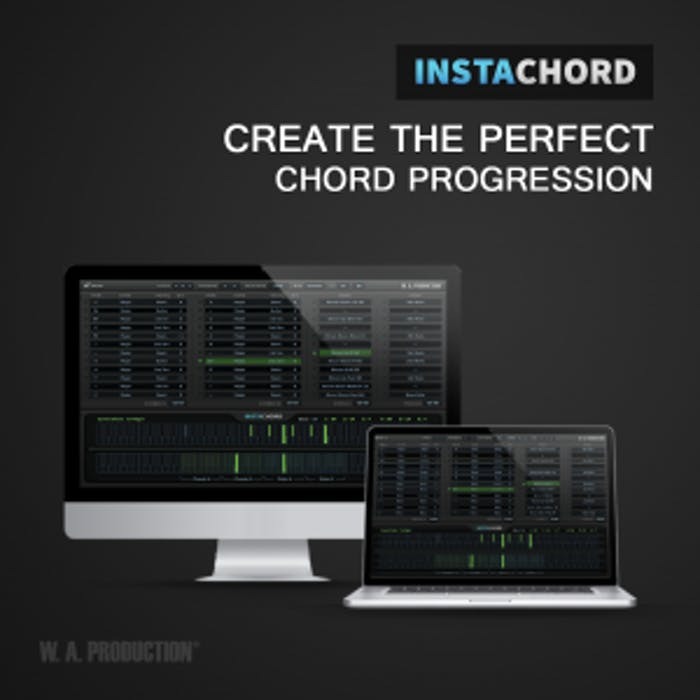 In addition to having access to chords and being able to set a progression, one of the other great things about Instachord is it’s playability. Instant Inspiration For Your Next Song In Just A Few Clicks! 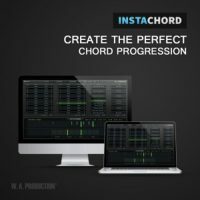 “Instachord” gives a great selection of tools to help you find cool chord progressions for your next production quickly and easily! W.A. Production have included almost all the common chords (maj, min, sus2, 6th, 7th, etc) in 5 different voicings (basic, 1st and 2nd inversions, guitar and wide). 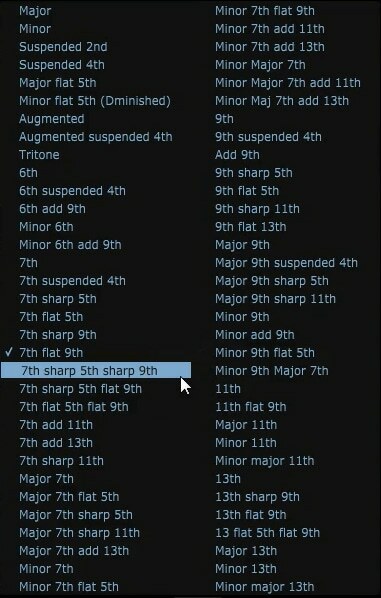 Each voicing mode has a unique sound due to the order of notes and might be a better choice to fit with the other chords in the song. There are a lot of ways that you can play the chords. You can hit or strum the chords with different combinations of notes, speeds and directions. For example, a key can be assigned to strum the top 3 notes of the chord and another one to hit 2 middle notes. You can also play individual notes of the chord separately. 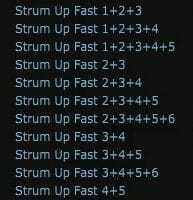 So it’s possible to arpeggiate the chords or strum them manually as well. This feature allows the fretting hand (chord changer keys) to control the sustain. So as long as the chord key is held down, any note you play will ring out, just like a guitar or using a sustain pedal. Flexibility & Customization – You Have Total Control! 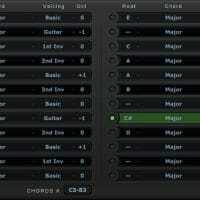 “Instachord” provides a number of useful performance control options that allow you to specify exactly how your chord progressions will be used. Transpose the current chords to any other key you want with just a few clicks. 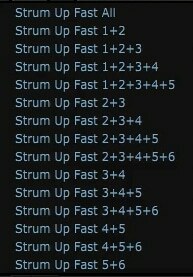 This is also useful when playing live when the key of the song changes. Endless possibilities of customization for any kind of application, Instachord is highly customizable and users can change things to match their needs. 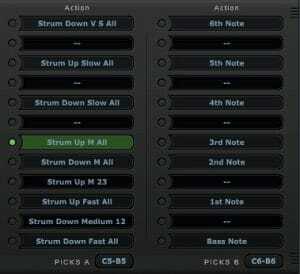 Set your own favorite action key setup out of a vast number of action options and lock it so it won’t change when loading a new preset. The position of the chord and action keys on your controller, each in two separate octaves can be moved up or down and placed in a more comfortable position. 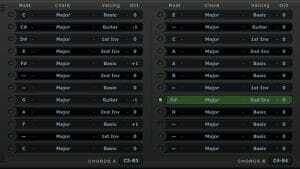 40 Factory Presets & Endless Chord Progression Possibilities! 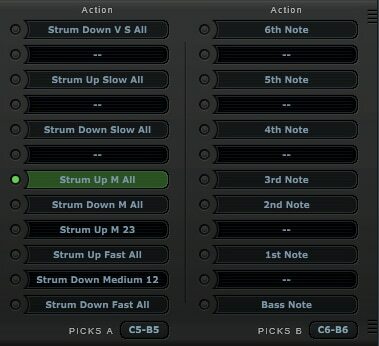 40 carefully designed presets included with the plugin. 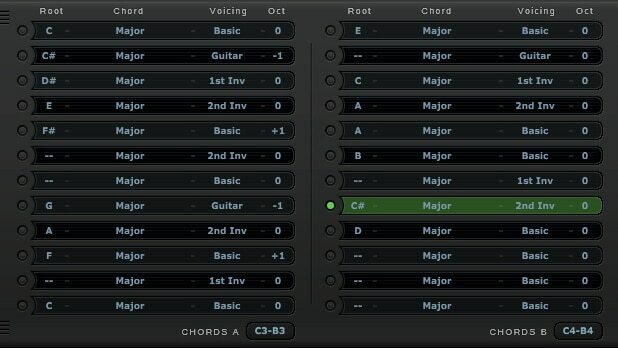 These presets with professional chord progressions might come in handy when starting a new song. Instachord is easy to install and use and has a user friendly interface. But we wanted to make sure you get the most out of the plugin so we have made several tutorials that cover installing the plugin and setting it up on different operating systems and DAWs. 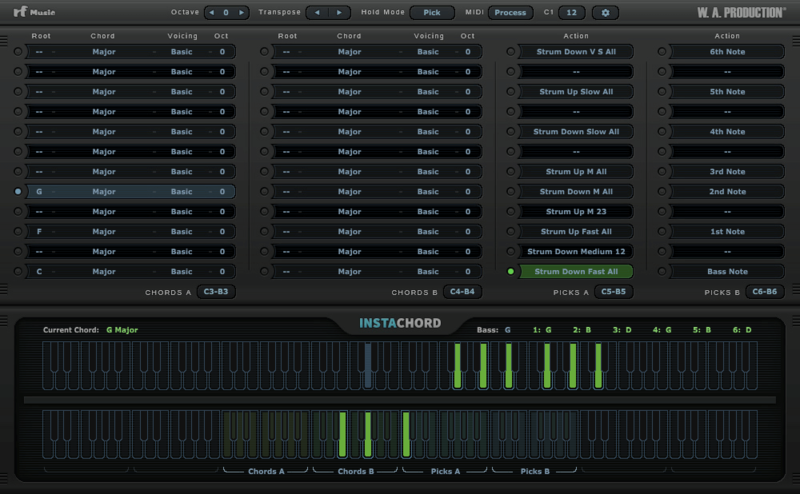 Instachord can be used on any software that supports VST plug-ins with MIDI routing or AU MIDI effect type. But to make sure it’s compatible with yours, please try the demo version before you buy (only major chords are allowed in trial version). 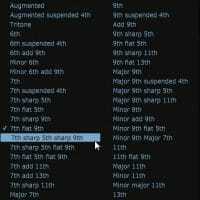 So What Exactly Can I Do With “Instachord”? 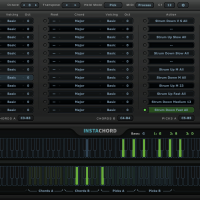 “Instachord” opens up a whole new world of chord progressions for you to experiment with in your productions. Explore new music genres and styles you’ve maybe never considered before or simply use it as a tool to learn about different chord progressions and combinations. Whether you are an experienced musician or just a beginner, with a vast chord bank and amazing playability, Instachord has something to offer you! 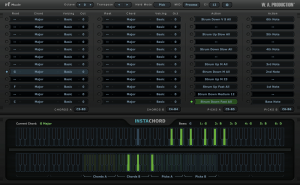 Instachord can be used on any software that supports VST plug-ins with MIDI routing or AU MIDI effect type. Normally €59 – get it at 69% off before it’s gone! 69% off the normal price (normally €59)! Play chords and chord progressions faster and easier. 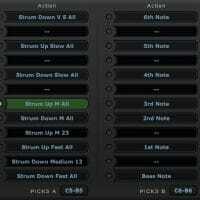 40 carefully designed presets included. Includes almost all the common chords (maj, min, sus2, 6th, 7th, etc) in 5 different voicings. 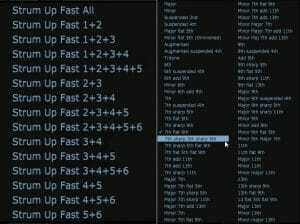 Find the best progression and use a single midi pattern to play all of them. Play some of the hardest chords, in any musical key and combination of notes and different voicings, using just a few keys on your controller. Learn and study the chords and use it as a reference and hear them in action. Hit or strum the chords with different combinations of notes, speeds and directions. 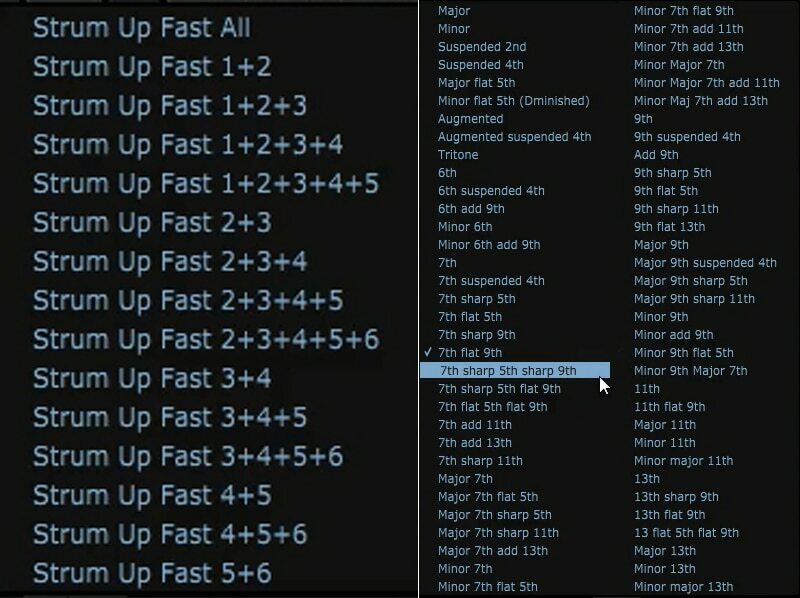 Set your own functions for the 24 action keys provided and tell them what you want them to do. Transpose the current chords to any other key you want with just a few clicks. 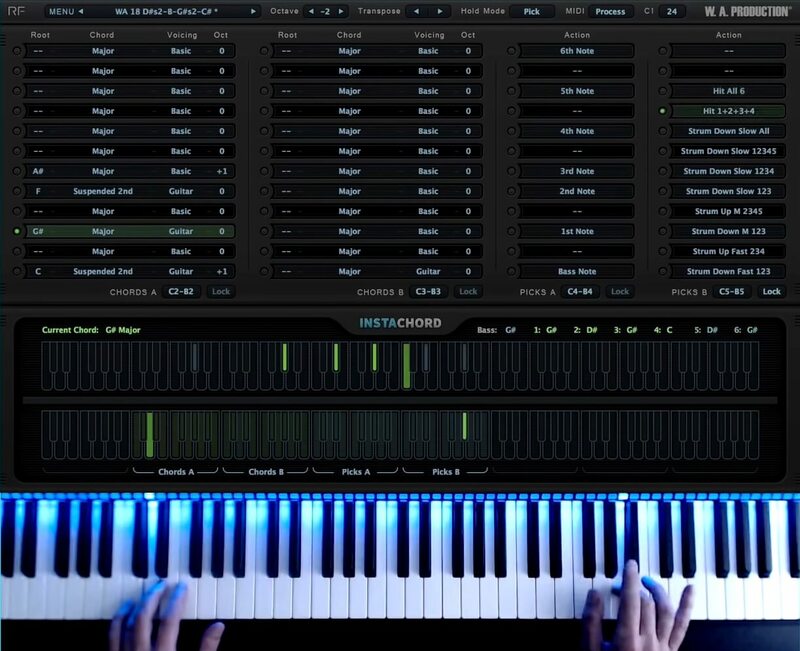 Use richer chords and new chord progressions to take your productions to a new level! Artist/Producer who has remixed records for Dimitri Vegas, Guru Josh, Erick Morillo, Stromae, DJ Antoine and more. Austin Leeds has been producing for 20 years & has tracks on Spinnin, Armada, Ultra and Toolroom. As an Artist/Producer from Thailand, 22Bullets has released music through Spinin' Records, Musical Freedom, Revealed, Warner Music, and Panda Funk.